PARENT YOUR PARENTS radio show has a two pronged approach, the first is the “how to” of managing elder care issues on the non-medical side. This includes legal, mental health care, seniorizing a home, insurance needs, and basic steps on how to make the last chapter of your life or your loved ones life fulfilling and worry free. The second is to raise issues about the treatment of seniors and why this important, because in the end, we’ll all be seniors. A graduate of University of Miami Law ... See More School, Frances spent ten years as a litigator/lobbyist. Today, she Is an accomplished business woman who, when her parents could no longer take care of themselves, learned the ins and outs of senior care (or the lack thereof). 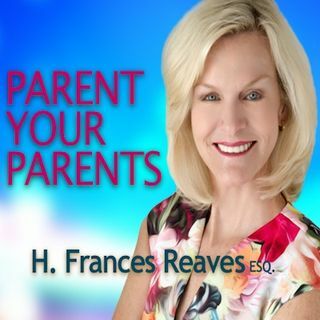 She founded Parent Your Parents to assist seniors and their children through the myriad of pitfalls and options of “senior care” in the 21st century.